Not sure what HempWick is about? We’d love to send you some samples! 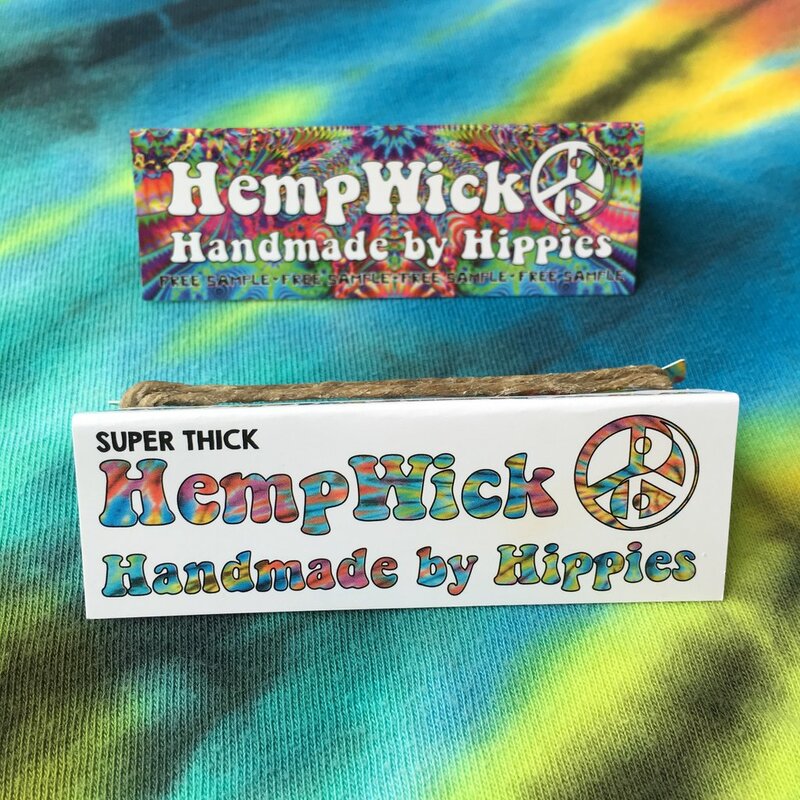 HempWick Sticker is not always the exact one in the photo but is equally groovy for sure! SHIPPING is a bummer it costs $1.25 in the US & $2.75 everywhere else in the world! 🙂 We are grateful for your support! HempWick™ can be used to light ANYTHING… from hookahs and tobacco pipes to pilot lights, camping grills, and candles. HempWick™ preserves the flavor of fine cigars, reduces harmful exposure to butane, and makes lighting things fun!